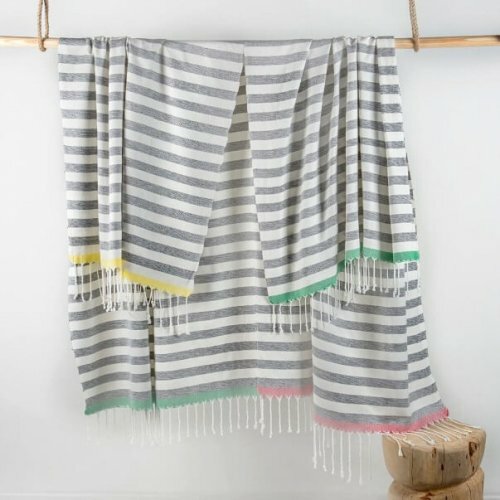 View basket “Nomad Cotton Hammam Towel” has been added to your basket. 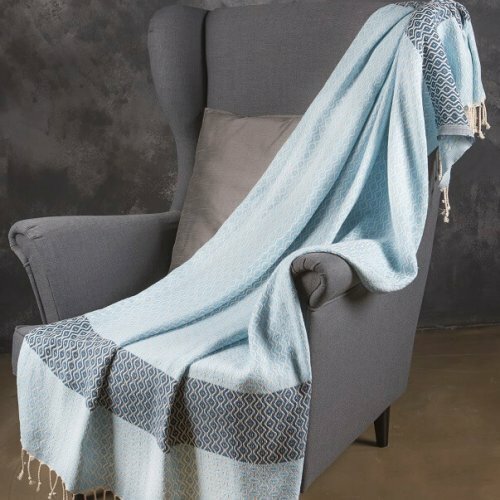 This fantastically versatile and stylish hammam throw is one of our most loved products. 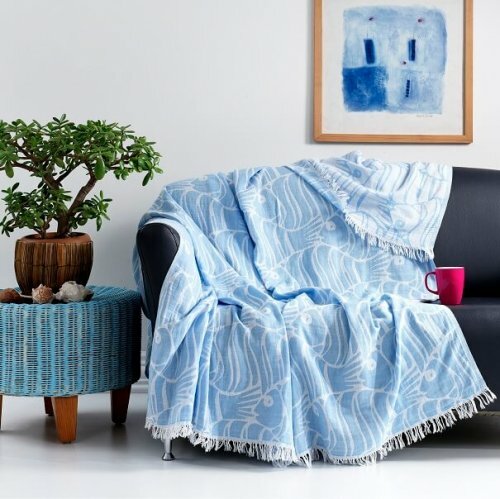 We love them for their charming reversible texture, undulating pattern and refreshing colour combinations. 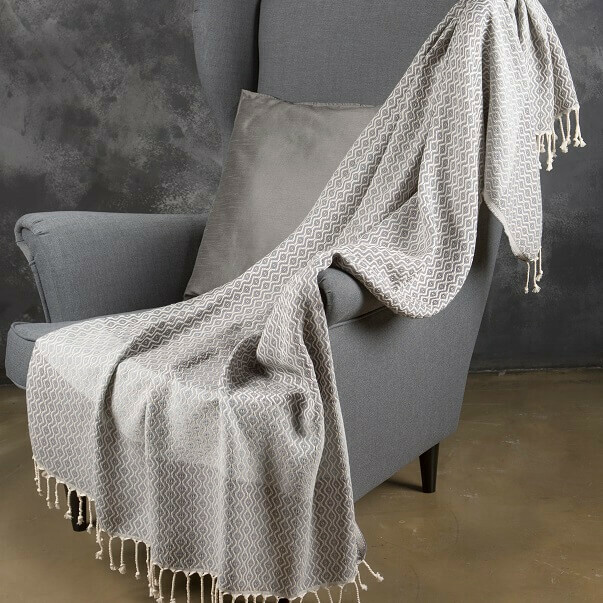 This is an adorable and durable sofa throw ideal for cuddling up with your loved one whilst watching TV. It can also be used as a single bed runner for a fashionable layered look in the guests’ bedroom or children’s room. 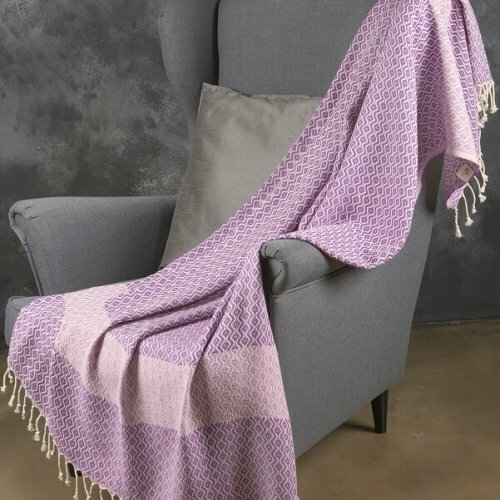 The Ida cotton hammam throw is perfect for outdoors too. 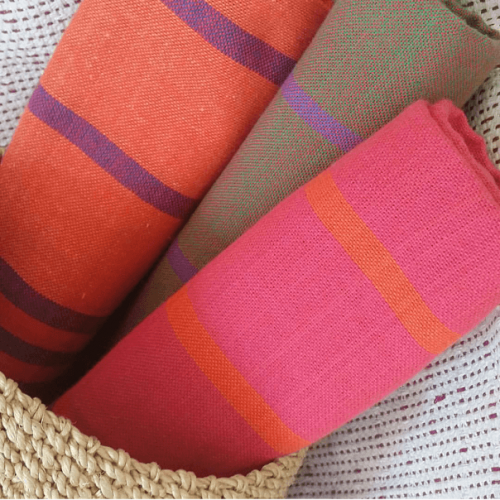 They make perfect blankets for summer BBQs and evenings in the garden or as an absorbent bath or sand-free beach blanket too. Made of 100% cotton, they offer good protection whilst still being soft on the skin. You can carry on browsing the blankets and throws clicking the link. Please be advised that due to the unique crafting process of each peshtemal, there may be slight variations in size from the stated dimensions. 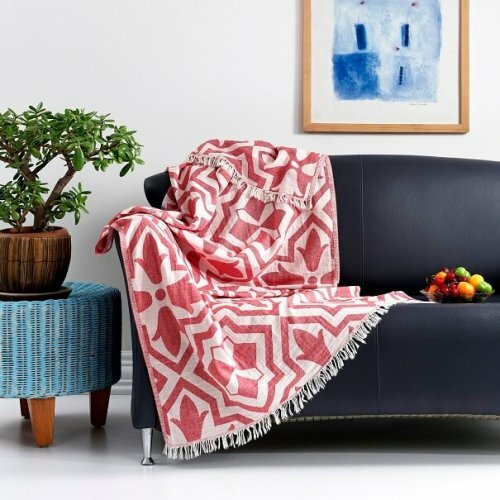 Peshtemal is a woven-fabric that has evolved from the historical Turkish hammam tradition. The Turkish peshtemal towels have been traditionally woven on hand looms by local villagers in the South-West of Turkey. 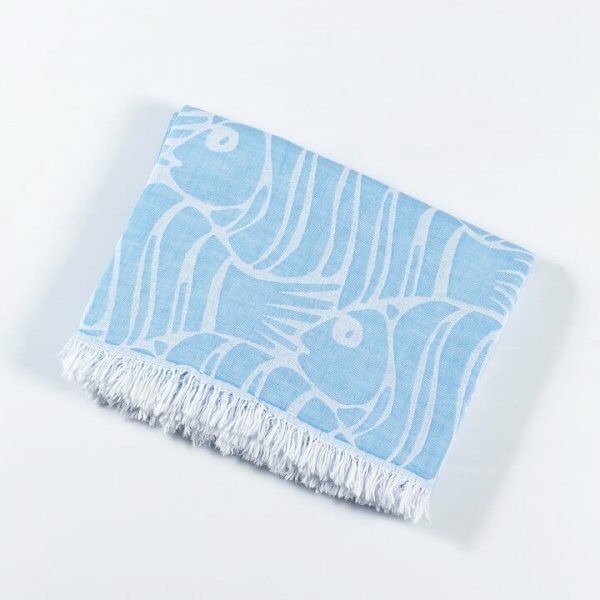 Now, they have moved beyond the boundaries of hammam and have become trendy bath and beach towels. 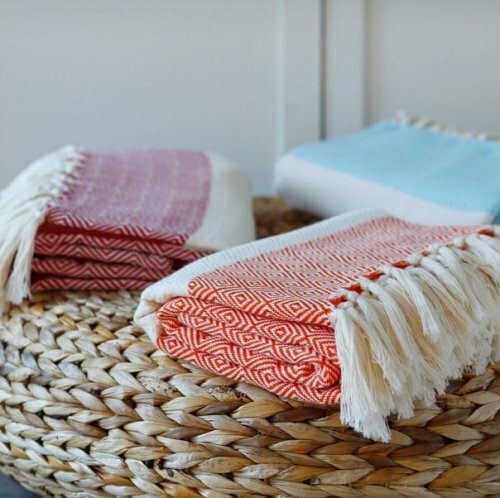 The Peshtemal towels have a very distinctive stripy pattern with hand-finished tassels on the fringes which make them truly authentic. They are 100% pure cotton. Cotton and bamboo blends are also sought-after. 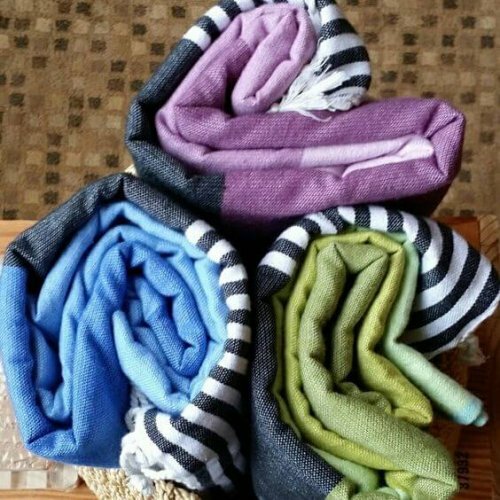 The size of the peshtemal hand towel is average 50 x 90 cm and once folded, it is absolutely compact to pack and carry. It is also lightweight, easy to wash and dry. 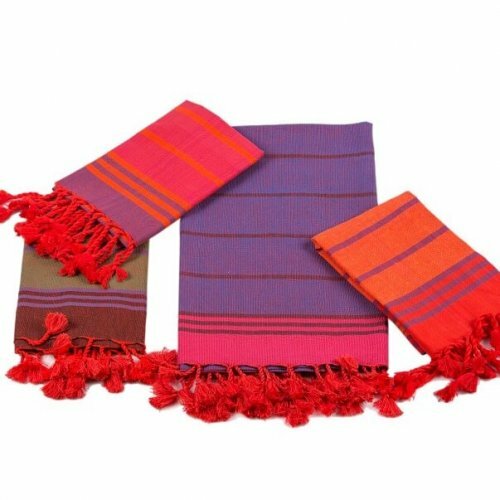 With each wash, these peshtemal towels will get softer and more absorbent. 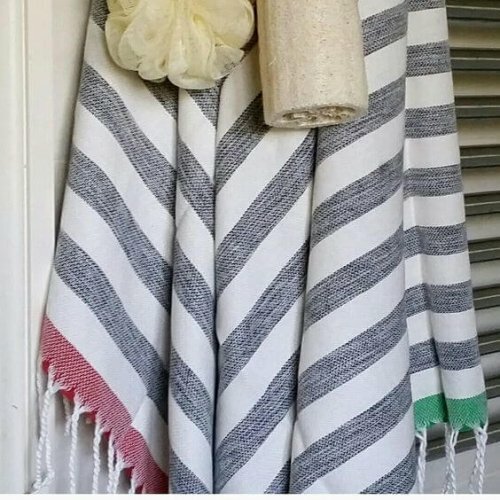 The Turkish peshtemal towels are very versatile and long lasting towels. 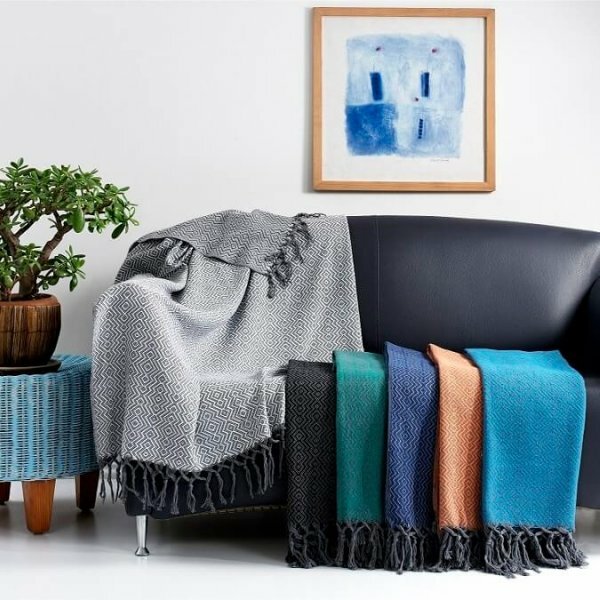 Their compactness allows them to be used in various occasions as a picnic blanket, sofa throw, children’s blanket, tablecloth or sarong. Peshtemal bathrobes for adults and children are also excellent bath and beachwear with their fast drying properties and lightness. Bamboo blends are highly recommended as baby towels and spa towels. These towels are hugely popular in the Turkish Riviera and increasingly so in Europe and America.